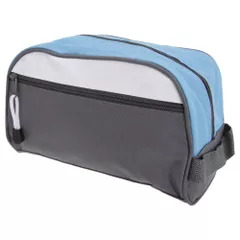 Toiletry bag with central zipped compartment with inner mesh pockets. Additional zipped pocket on front. Webbed carrying handle on end. Coordinates with the Barcelona Trolley. 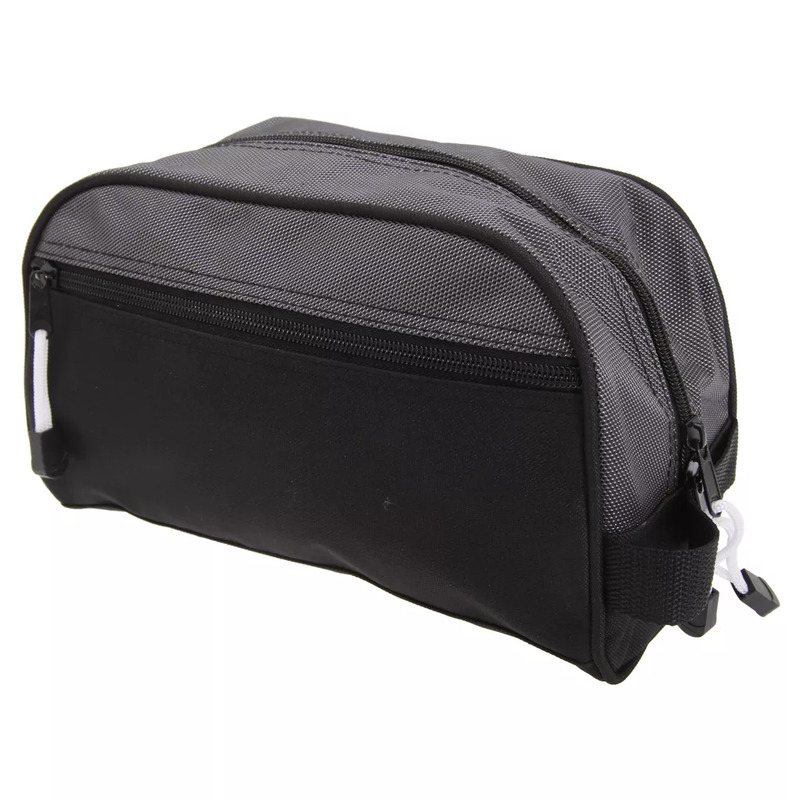 Material: 600D Polyester and 600D Ripstop. Dimensions: 16 x 26 x 12 cm. Print area: 6 x 18 cm.